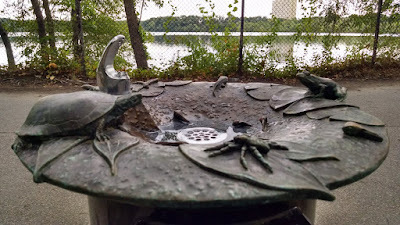 One of my favorite drinking fountains is along the walking path at Cambridge, MA's Fresh Pond. Fresh Pond is the water source for the city, and two decorative drinking fountains were commissioned by the Cambridge Arts Council and completed in 2013. These fountains draw attention to the quality of the water source and the intersection of good water with preserved open land. 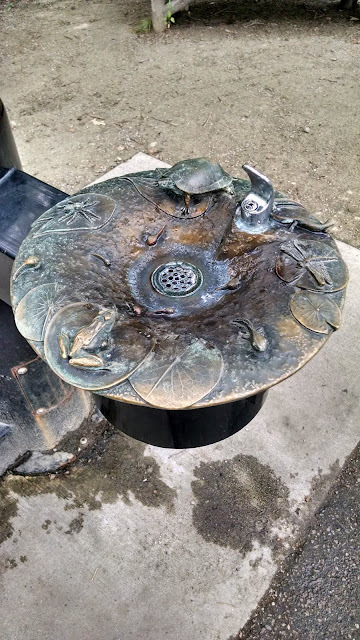 What I love about this one, designed by artist Laura Baring-Gould, is that it takes a factory-standard drinking fountain as a starting point, and simply caps it with a spectacular bronze bowl. 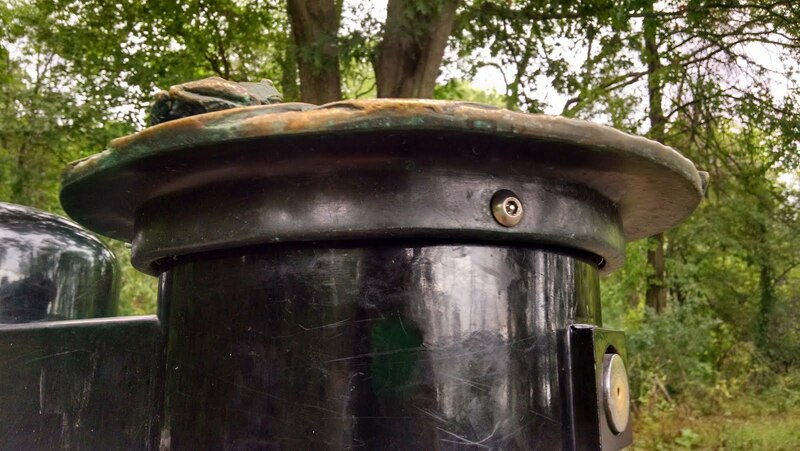 Instead of reinventing the wheel, the artist just takes a classic drinking fountain and turns it into something out of the ordinary. Titled, "Water for All," little inhabitants of the pond adorn the bronze cap. This is a great example of how to create special drinking fountains without huge budgets and too much fuss. 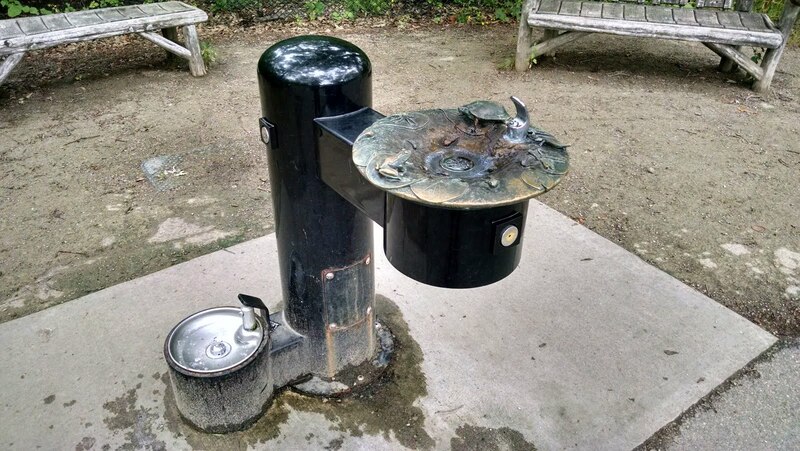 Artists could be commissioned to do something like this with any existing drinking fountain. Drinking fountains are a key indicator of the relationship between people and place. 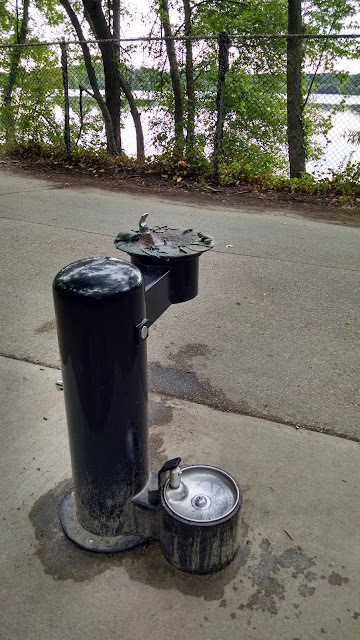 When a city is comfortable, welcoming, and vivacious, the drinking fountains reflect that in their aesthetics, taste, and spirit. 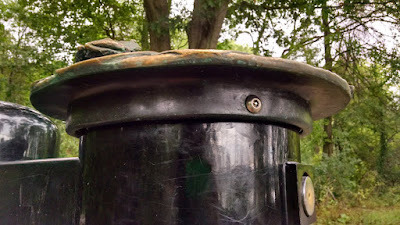 This blog is a collection of some of my favorite drinking fountains and my thoughts on the urban implications of these most elementary of human amenities.